A drawer system is the solution to the problem of making order out of chaos in the back of your 4WD. Most of us like to use our 4WDs and trailers for camping trips, but not many of us have mastered the art of packing our vehicles. It’s fair to say that we usually can’t find what we need, when we want it. This is where a drawer system with drawer runners can make a world of difference, because you can easily pack everything away neatly and access it when you need it. So let’s take a look at the essentials you absolutely need to pack for your trip. Cooking gear: Make sure that you set one drawer system aside for all your cooking gear and utensils, so that they are easy to access when you stop overnight. The type of cooking gear you need will depend on whether you use a fire or a gas bottle for your cooking, but if you use a fire, check out the fire restrictions before you light up. 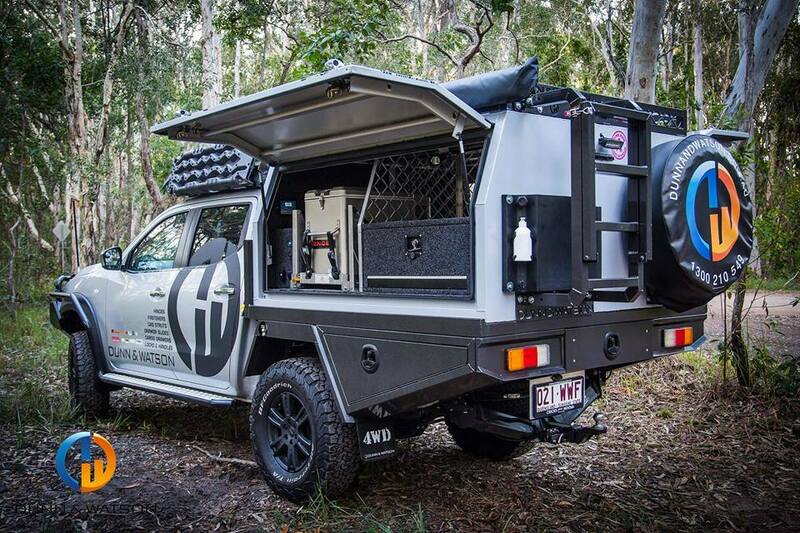 Sleeping bags: You will also want to set aside an area to store your sleeping bag, mattress or swag and pillow, so that you can grab it all quickly without ferreting around in the back of your 4WD. Tools and spare parts: Don’t forget to pack a basic tool kit, some recovery gear and a few spare parts as well. What you pack will depend on your knowledge, but have a drawer system that stores WD-40, duct tape, grease, brake fluid, oils, filters, and a first aid kit etc. Consumables: This includes your food, water and fuel, so set aside a storage area where you can easily access all these consumables. Drawer slides come in handy here, because they make it super easy to access heavy items in the back of your 4WD. With a system of drawers designed for 4WDs, you should have no problem accessing everything you need when you stop at your camp site. Remember to pack your 4WD in sections, with the items you will need first at the front. For example, you should be able to access your cooking and sleeping gear as soon as you stop without having to remove the tent, chairs, solar panels and fuel cans to reach them. For more information on how a drawer system and drawer slides can help organise your next camping trip, call us on 1300 210 549 or send us an email.